Admit it, if you have one, right before you go to bed most nights you check your iPhone/iPod Touch/iPad, then you put it on your nightstand so it’s there first thing in the morning (and yes Android users, same goes for you). 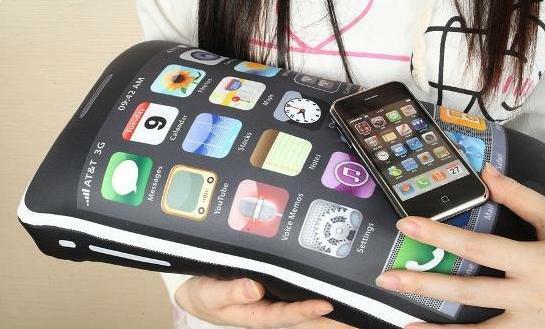 While many people have admitted to “sleeping with their iPhone”, however, the things aren’t, let’s face it, that comfortable. Well, here is the perfect solution to get you through the cold, dark night: introducing the iCushion, available in Korea for about $17. Sleep tight Mr. Jobs. Read next: The Apple Assassins!